The Opposing Forces, or the forces of evil: who are they and where did they come from? If God is love, then why did He create evil? 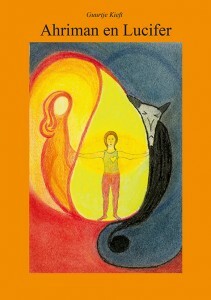 Guurtje found the answers to these questions on the journey of her spiritual growth. If we look in depth at the existence of the Opposing Forces and discover how they work through us every day, our view of evil in the world changes. We see then that the influences of Ahriman, Lucifer and even the Antichrist are necessary for our consciousness to develop. Without their temptations, we will not find the middle way – the way of the heart and the way to Christ.